I have learnt three foreign languages in my life and all of them have been studied in classrooms with books, pads of paper, and the occasional tape. But the world has changed since I started learning Russian 10 years ago, and we now have much more sophisticated ways to become multilingual. 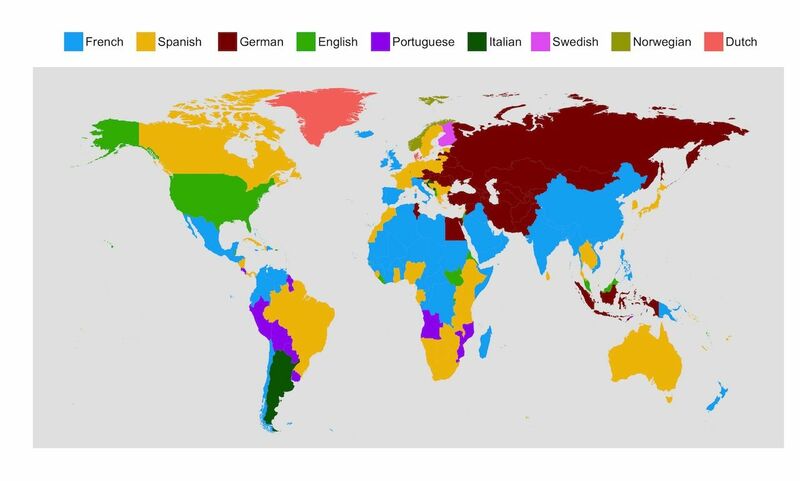 To find out which languages are the most popular around the globe, Duolingo looked at the daily activity of its users over a period of three months. The data covers all 194 countries. Unsurprisingly, English dominates the map by being the number one language people learn in 116 countries. It is followed by French (35 countries) and Spanish (32 countries). What may be surprising, however, is the fact that Sweden’s most popular language studied on Duolingo is Swedish. Why would Swedes need to learn their own language? Well, according to Duolingo’s research one in six Swedish residents in 2015 was born outside of Sweden and these people are keen to learn the language of the country they immigrated in. Here the ranking changes in favour of French (77 countries), Spanish (57 countries), and German (29 countries). 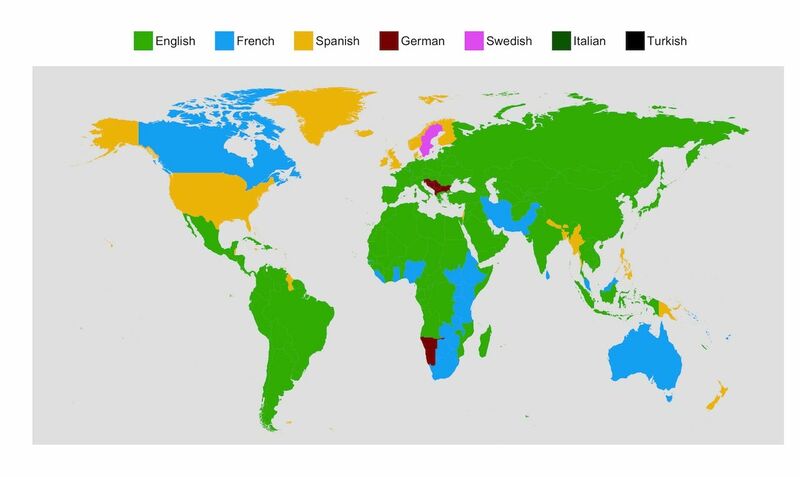 Similarly to what we noticed with Sweden in the first map, Norwegian is the most popular second language studied in Norway and English is the most popular second language studied in the US. Once again, the reason for this is that the immigrants who settled in those countries are working hard on learning the official language of their new home. What language(s) are you learning? And why? Are you using an app such as Duolingo to become a polyglot? For more information regarding Duolingo’s research, visit their website here.